People forget to look up. Look up at the tall buildings on city streets, at the canopy of trees in the forest, and at the pillowy clouds on a summer’s day. 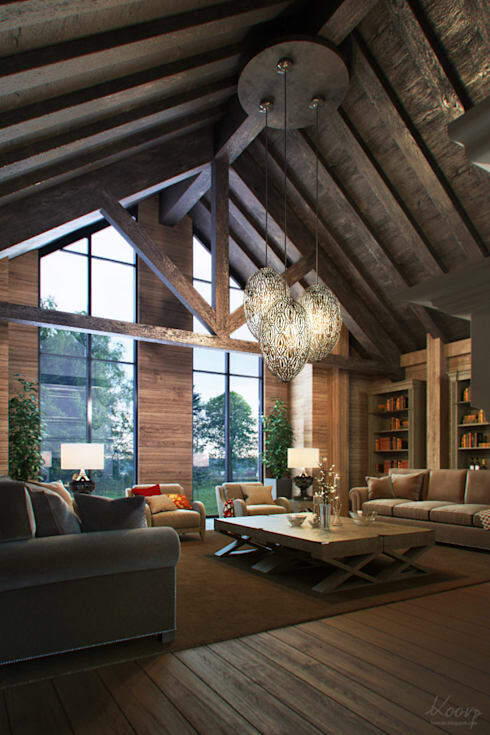 In the home we know we would spend a lot more time looking up if we had one of these wood ceilings! Why is it that we come back to wood for our home design, time and time again? Wood has a long history of being used in home construction for a reason. It is a durable structural element for a home and it shines with natural beauty. Wood is versatile. It’s perfect for spicing rooms up or chilling them out. It will always bring a natural element to your home no matter what. With the huge variety of wood and different kinds of stains the possibilities can be overwhelming. To help you choose we’ve picked 9 gorgeous wood ceiling looks that we can’t get enough of. They would look great in any home be it a condo or a mansion. Not just reserved for cabins and cottages! Why is it that most ceilings tend to be flat, white, and featureless? It’s time we paid attention to the ceilings in our home and give them some consideration. Wood is a beautiful choice for ceilings because it’s strong and flexible. 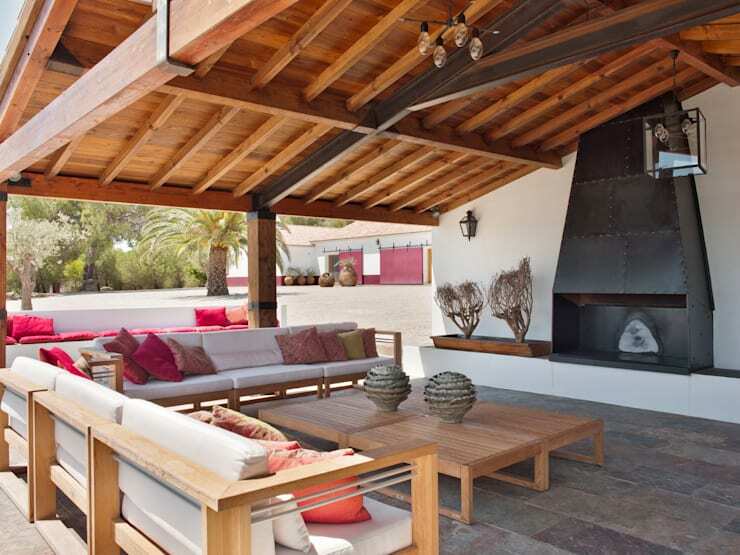 Wood can conform to your home’s style seamlessly whether you opt for a rustic or Scandinavian interior. 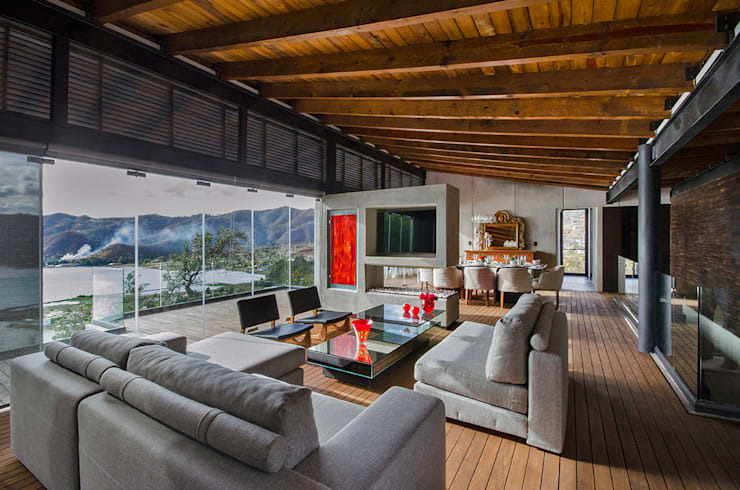 Locally sourced wood adds homeness while an exotic wood can add drama to a room. Hardwoods are best suited for the ceiling. They are going to give you all the durability you need. Properly maintained, a wood ceiling like this will last your lifetime. 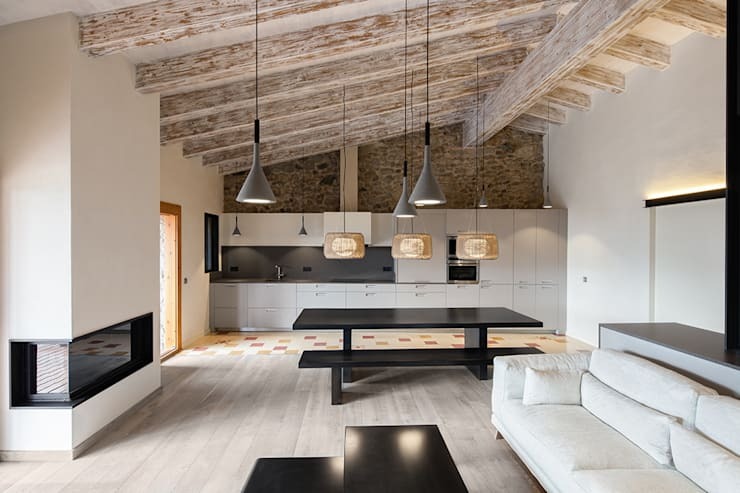 Let homify connect you with professionals who can help you get the wood ceiling look in your home! 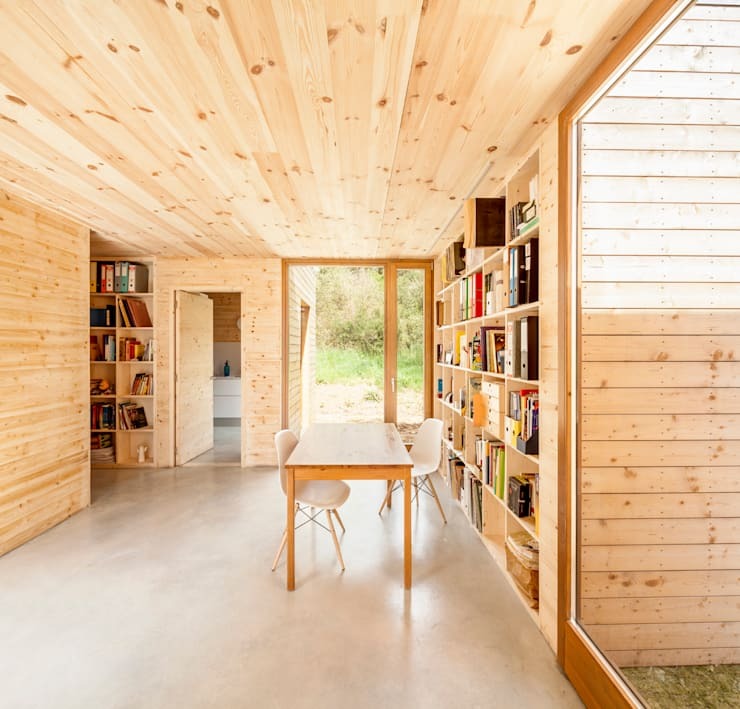 When homes already have wood as part of their existing structure they have the option to bare it all. An unfinished look like this gives you a wood ceiling with no effort. If you don’t have a wood ceiling already there’s a remedy for you. You can DIY planks over a popcorn ceiling easily. You can choose to add a demure wood on the ceiling, or go for a wild look. In this room, they emphasized the wooden arrangement by having wood floors and furniture to match. This is a bold look for a home perfect for large spaces because it gives a room a sense of fullness. Light toned wood can help reflect light and open a space up. 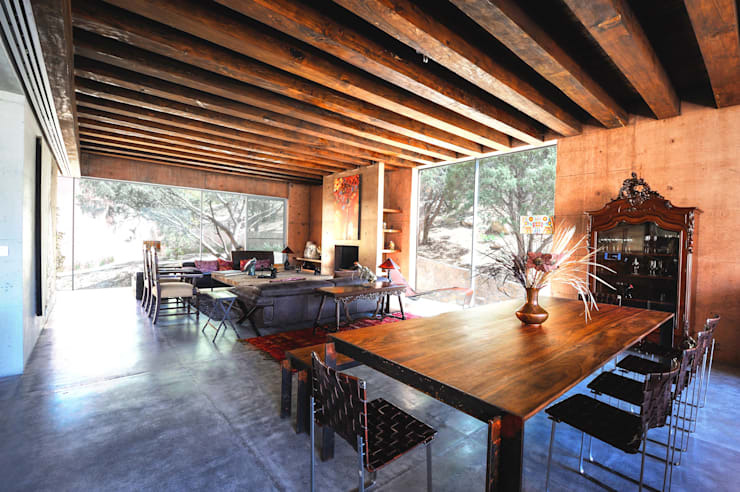 Optically magnified, a home appears brighter and more open. The wood beam detail gives the room a little individuality. It adds a little rustic charm to contrast with the modern style. There’s no building material that can have the gravitas that wood boasts. Rich with tradition, this wood ceiling is majestic. It helps to have double height with a gable roof to show off the drama of the dark wood ceiling! 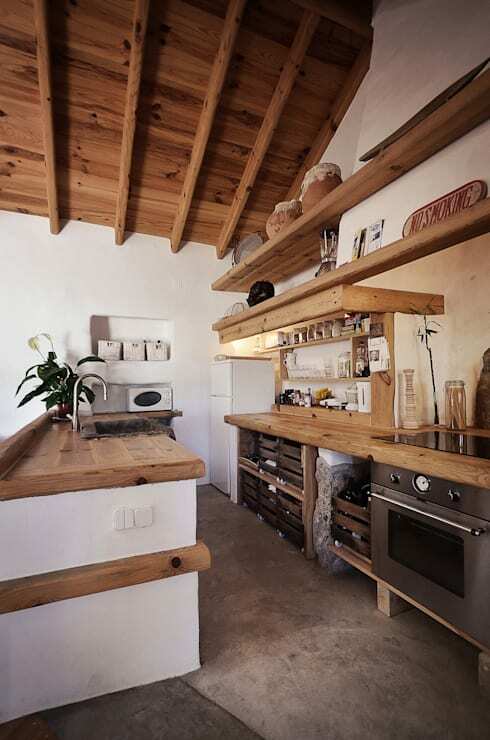 A kitchen with a wood ceiling might sound a little too colonial, but take a look at this inspiring example. The wood ceiling is a sophisticated decoration for the room. The kitchen will always look chic no matter what decor you use if you have a stylish wood ceiling in place. 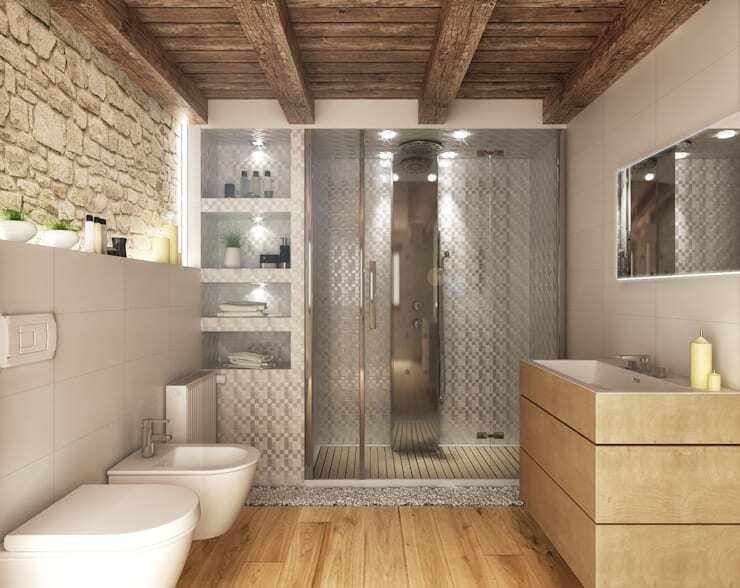 A wood bathroom sounds like a spa retreat, and who wouldn’t want one of those? Transform your bathroom into a home spa by opting for a wood ceiling. It can get a little tricky in the bathroom due to the humidity, but it’s doable and we love the result! Thanks for checking out our guide to wood ceilings! For more unique home inspiration, check out our feature on aromatherapy for the home.